JUNE 2017 ISSUE IS LIVE! First of all, thank you! You are the reason for the existence of this magazine. The magazine wouldn't exist without any of you. We want to thank all the people that visited the site between January 15 2016 and June 14 2017. Your number is humbling. Even though we lost the data for one month, the numbers are staggering. The magazine has had 875,227 hits and 94,139 only between May 15th and today. The best news is that people continue to read pieces that were published a year ago. 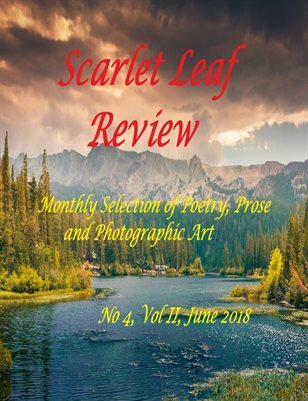 June issue is live at 4 a.m. Eastern Time, as always, and it will bring a new collection of poems, short-stories and non-fiction which will thrill you. Authors from all around the world have contributed to this issue of the magazine. Their pieces will welcome you in the pages of our magazine.